Until the mp3 file and the creation of Napster, the pre-recorded music business had been relatively ‘predictable’ for over 30 years. Then, in less than 5 years, it was turned upside down and billions in equity was wiped out. The customer who had ‘fed’ the business wrung its neck. Although it sounds a bit morbid, it’s a great reminder that we can’t predict the future of a business based on the past. Broadcast TV and print media would also do well to remember this. 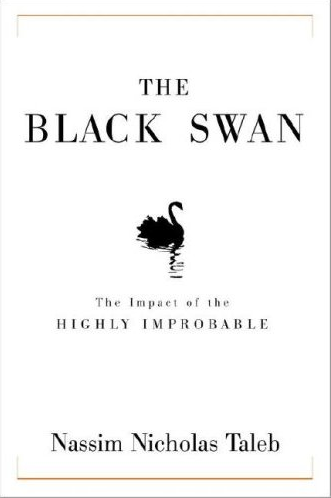 The good news is that Taleb provides insight that might keep businesses from being the turkey. One suggestion is to ‘tinker’ a lot more. Go less for grand plans and more for experimentation. You don’t have to ‘tinker’ on a grand scale, just do it a lot in little places. When I think of tinkering, two thoughts come to mind immediately … websites might do small usability tests more often and … businesses might encourage their employees to spend a portion of their time ‘tinkering’ with new technologies that might prove disruptive to their business – these include video hosting platforms (YouTube etc.) and blogs (which make ‘official’ experts less important, a potentially huge problem for print media). For a good recent Forbes article on Nassim Taleb, click here. 1. Don’t know nearly as much as we think we do. 2. Are more accomplished rationalizers than searchers. 3. Are prone to misinterpret just about everything.